Symphony has brought latest android smartphone in Bangladesh with software version Android M OS 6.0 Symphony Roar V20 in June 2017. 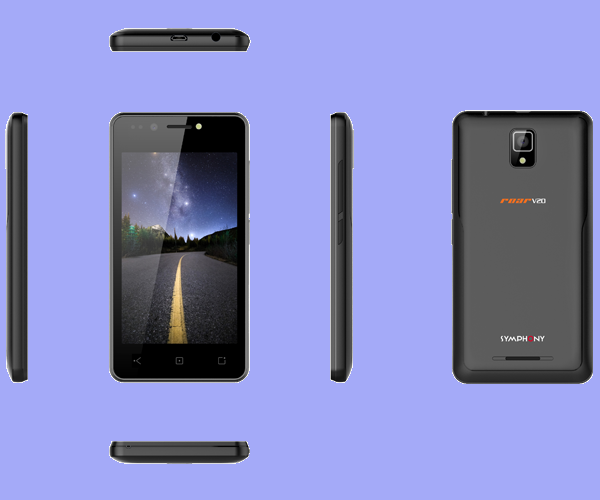 The Symphony Roar V20 has relatively small display 4" TFT 800x480 pixels with 1500mAh Li-ion Battery Capacity. It has 2MP primary camera & 2MP secondary camera. It also has 512MB RAM & 4GB ROM. More details is below..
At Last we want to say that Symphony Roar V20 latest updated Smartphone in Bangladesh. It can Make Our life More Amazing.